It’s autumn downunder (we don’t say “fall” here, we say autumn) and in Melbourne, where I live it’s a lovely time of year — dry, with clear, sunny days, and cool nights. And for me, one of the things that makes it special is autumn color. 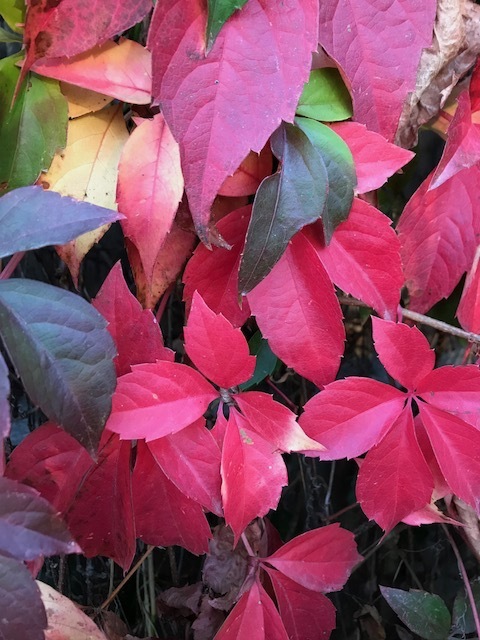 This is some of the Virginia Creeper in my garden. I love the way it’s scarlet and bronze and pink and green and claret and . . . all at once. Makes me smile every time I look at it. The indigenous Australian trees and bushes don’t turn color the way many of the forests do in the USA and Europe; we rely on “exotics” for our autumn color — the plants brought from other hemispheres, that people missed and wanted in their gardens. A little touch of “home” that has been going on for generations now. So here, the cities and towns are where you’ll find the most autumnal gardens and avenues — where people have bought and planted them. The indigenous plants are more of a grey-green — beautiful and graceful, but not very colorful. So I like to mix them up. 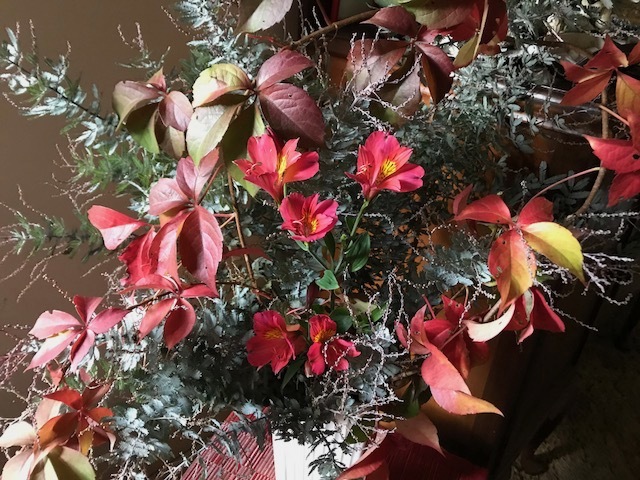 Here’s what I just gathered from my garden — not many flowers, just some sprigs of eucalyptus and the last remaining bits of color from the Virgina Creeper and a few red alstroemeria that are still in flower. Not particularly lush, but I like to fill a vase if I can. 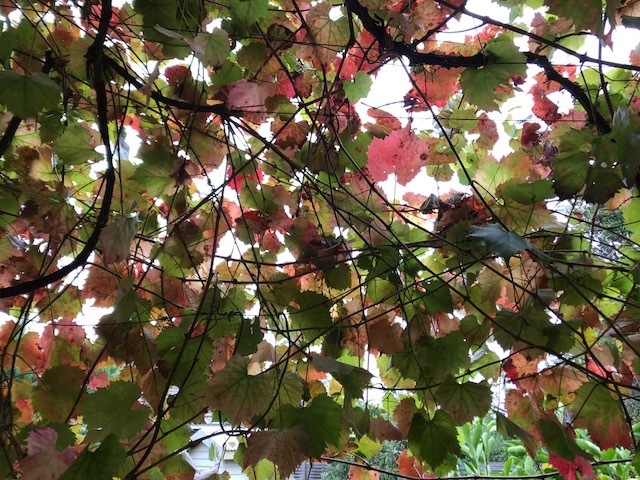 And the other day I dropped into a friend’s place, where her ornamental grapevine makes a lush canopy over her back deck. From the outside the leaves looked bright and burnished (I posted both on my Facebook page), but looking up from the kitchen door it’s delicate and subtle and so pretty I had to take a photo. I love the combination of soft pinks and pale green. 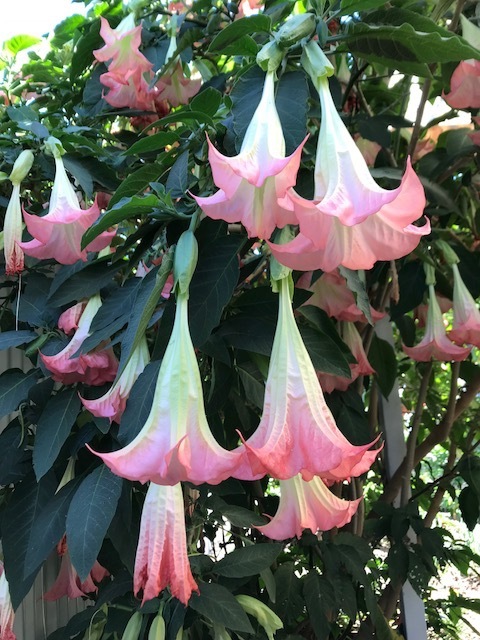 And just in case you think the only decorative things in our gardens at this time of year are autumn leaves, here’s a brugmansia in full glorious flower in another friend’s garden. Aren’t they beautiful — like dancers, swaying in the breeze. The common name is Angels’ Trumpets, and they come in a variety of colors. I think this is the prettiest. Unfortunately they’re also pretty poisonous (they’re a relative of datura) so if you’re thinking of getting one, check that out, especially if you have kids or animals likely to eat them. I’m lucky to have so many friends who have lovely gardens. They inspire me every time — the friends as well as the gardens. I’m fondest of the “in between” seasons — autumn and spring, with no extremes. 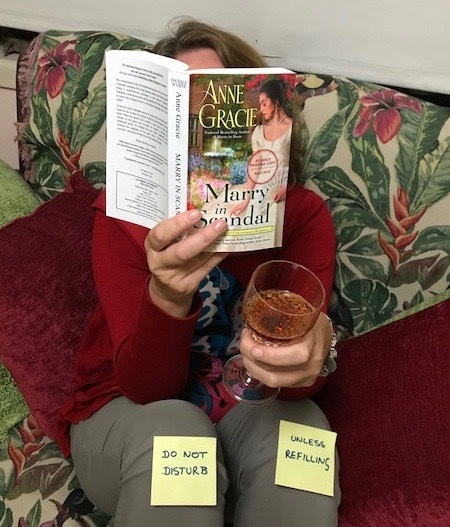 Marry In Scandal — out now! My new book, Marry in Scandal, hits the shelves and the cyber shelves today. It’s always an exciting — and nerve-wracking — time, because I never know how readers will respond to my stories. I don’t usually do much to celebrate a new book coming out but this time I had a friend passing through Melbourne on her way south who dropped in for a few days, so to celebrate the book, we went out to dinner and had a meal a bit similar to one my heroine, Lily ate in the book. It was yummy. 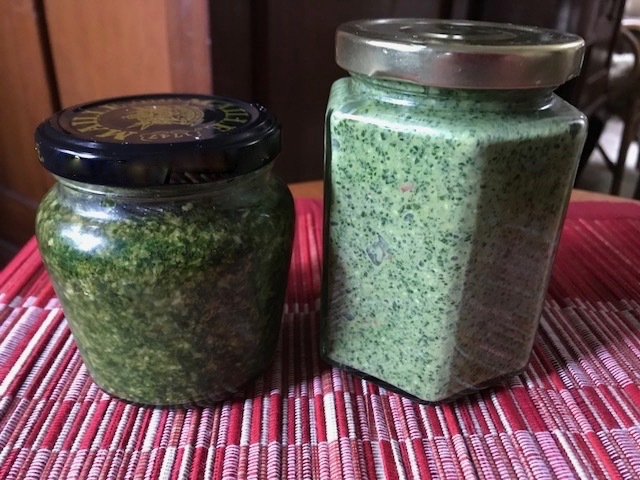 I’m about to send out a newsletter and I’ve just had a new “subscribe” link added to this blog page (in the column on the right) and on the home page. You can subscribe to my newsletter, my blog posts, or both, and they’ll arrive in your email in-box whenever something new comes up. And of course you can unsubscribe. I don’t share the email addresses with anyone..